I didn't think I would, but why wouldn't I? 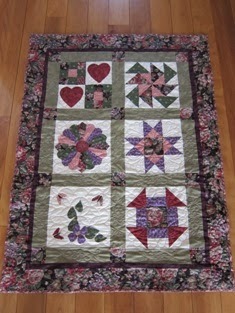 ....Shane (Leonie) made this quilt top over 10 years ago. It's her first and only one quilt top she has ever made. 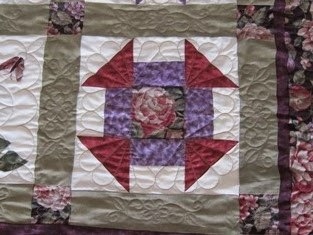 So,I felt honoured to do the quilting for her. 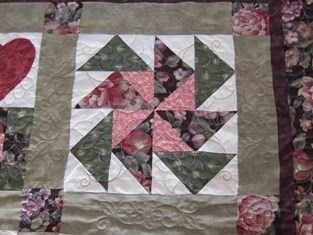 I was tempted to do allover (E2E) quilting for the quilt top because I know that I can do it well, but.... 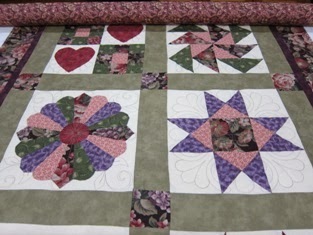 I found myself spending a lot of time thinking and planning for the quilting although the stitching part wasn't hard and didn't take long once I got going. 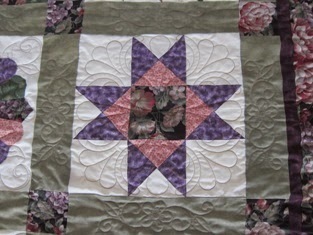 I did a few practice runs before I actually custom quilted this quilt as I would like a well-finished job. 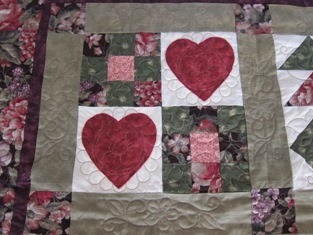 Shane was very pleased with the quilting, to say the least. 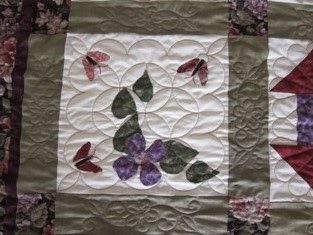 :-) But this is a one-off, and no, I'm not tempted, and won't be 'branching' out my quilting service (to also offer custom quilting) as yet. 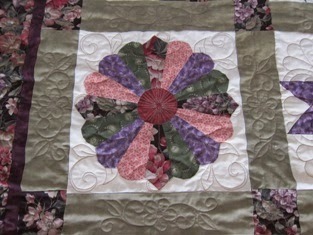 Have a wonderful New Year 2014, full of fun and creativity for patchwork and quilting.